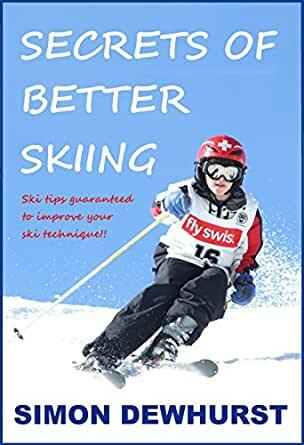 Ski technique is simple and at last there is a book to prove it! Forget intricate diagrams and physical contortions. There are none in Secrets of Better Skiing. Becoming a good skier is simply about a positive attitude, mileage, fitness and an ability to assess your surroundings. Told with a sense of humour, Simon Dewhurst offers radical ski technique and simple ski tips that are seldom mentioned in ski instruction manuals. He has broken down the technical stuff and rebuilt it so that the learning process is lucid and simple. Simon has been a ski teacher for nearly fifty years and has a vast amount of knowledge about ski technique. He learnt his craft in Scandinavia, British Columbia and the European Alps, and he still teaches privately in the European Alps. He was a passable club racer, and in 1987 skied at over 108 mph in the French Cup in la Clusaz, France. *USE THE SOLES OF YOUR FEET - your antennae! Look after them! *DISPENSE WITH STYLE – of little importance to better ski technique. *PUT EQUAL WEIGHT ON BOTH SKIS – when learning to ski in powder snow. *MAKE A POLE PLANT – when learning to ski the bumps. *LEARN TO FALL WELL – accept that skiing is a contact sport…with the snow! 4.0 out of 5 starsSimple and effective. Simon Dewhurst has presented a simple to follow skiing tactics manual with some advice that is pure gold. I have certainly read more technical ski manuals that have also taught me a great deal about the sport. However, this book's exercises have resonated with me the most. In particular, I feel like the relationship between pole plants and angulation make more sense to me now. 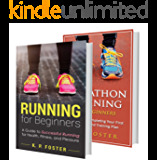 The only reason I went with the 4 star review is there are a few pictures that are referenced, but are omitted from the kindle version. A simple read that simplifies technique and allows the reader to experiment and learn. 2.0 out of 5 starsTips guaranteed to confuse you! Somewhat amusing but from a former PSIA instructor's perspective Simon's attempts to technically describe what should be happening with the body as it moves over the snow were just too confusing. You Tube's PSIA videos provide visual progressions from beginner through expert. Better to spend your money with an intructor in a lesson so you can get feedback that will make you a better skier.